Two new elevators on the east and west sides of St. Clair station were installed to allow easier access for disabled persons. During construction, HC Matcon was confronted with some interesting challenges, including extremely tight access and a high water table. The east elevator pit was constructed with a 10 m deep caisson wall, braced horizontally against the existing subway structure. 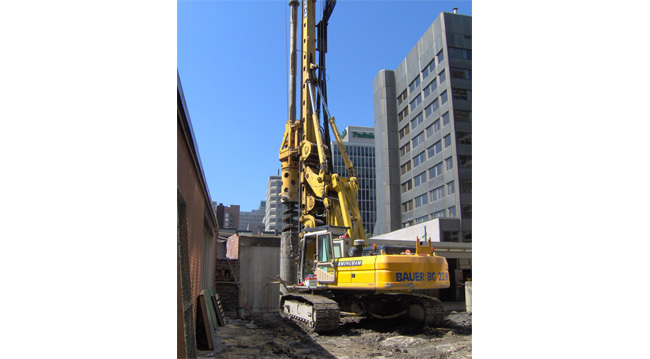 Piles were drilled with a Bauer BG 22H self-lining drill in order to overcome the high groundwater conditions. 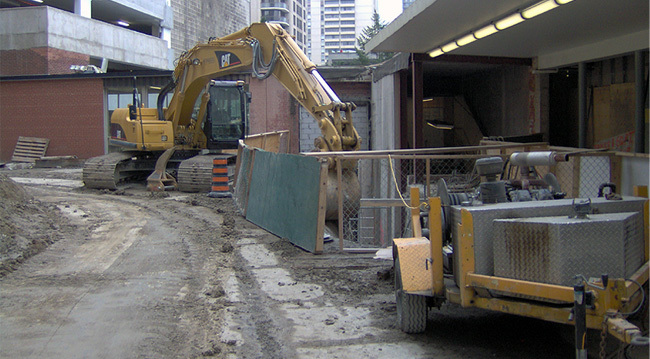 The west elevator pit was constructed with an 8 m deep lagging wall, the piles for which were drilled in a single weekend in order to comply with TTC and City of Toronto access restrictions. 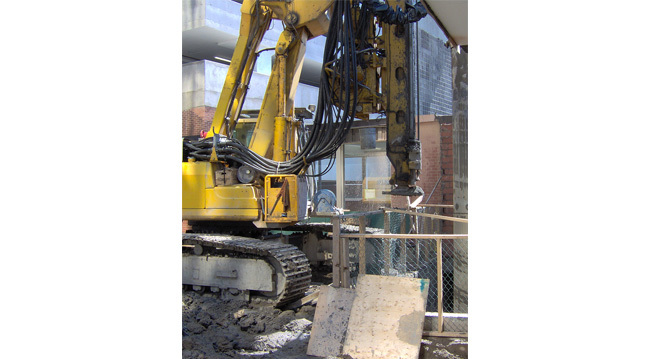 HC Matcon’s excavation operations were aided by our own dewatering systems installed at each elevator pit. 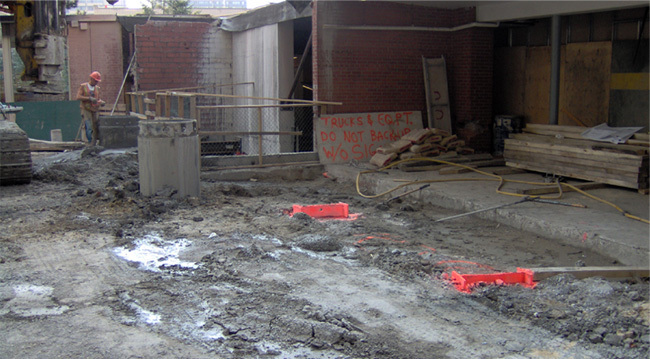 A total of 4 deep wells were effectively used to lower the water table below final excavation grade.